La Liga giants Real Madrid are planning to sell their star man Cristiano Ronaldo at the end of the season, according to Express. Manchester United have been alert with the news as they have been planning to resign Cristiano Ronaldo in the summer. 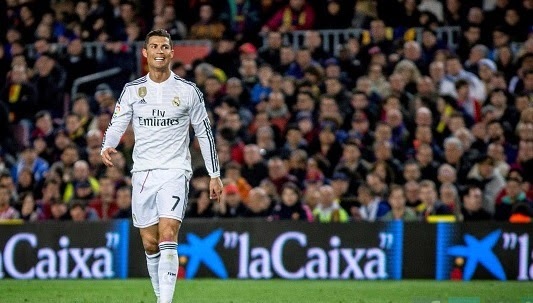 According to Spanish football pundit Pete Jenson, La Liga side are willing to sell Ronaldo for £65million. The Ballon d’Or holder has recently hit a drop in form, Barcelona star Lionel Messi has overtaken him in the goal scoring table in La Liga. Jenson also claimed that Los Blancos will sell any one of their star player Ronaldo or Gareth Bale, who both are on Manchester United’s radar. The Portuguese star is reportedly unhappy at the club and is expected to return to Manchester United as he has always admitted that he cannot forget his wonderful years at Old Trafford. Real paid £80million to United for Ronaldo in 2009, and are likely to sell him in £65million. Also, Real fans are happy to let Bale leave instead of Ronaldo. The Welshman would cost around £90million. United boss Louis van Gaal is planning to spend big this summer again, reports claim that Ronaldo is on top of his transfer list.